UnruffledMum was launched as new in 2016 to enable likeminded parents, to gain an insight into another approach to parenting, gain plenty of activity ideas and follow our journey. If you love reading about things to keep little people entertained, crafts and art ideas along with the rural country side life you’ll feel right at home here. Of course I am still learning too, but love to share ideas as I discover them. The blog initial started when I moved to London back in 2013 and was blogging under the name Citylivingsoul as a free spirit lady of leisure, then I had great fun blogging my pregnancy during 2014 – 2015 (you can follow my whole pregnancy series here) and after a small blip of down time I am back for good. So who am I? Hi, I’m Rachael and I currently live in leafy green Surrey in England, with my daughter Ariella and son Sebastian, my husband Jamie and our two flurry cats; Tiberius and Pandora. 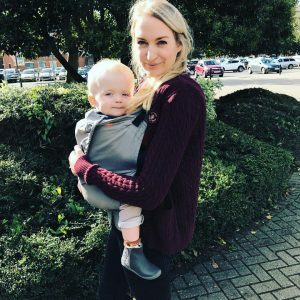 People say that I’m perpetually calm hence the name of the blog, it’s a bit of an in joke amongst friends but a handy skill to have when you are dealing with a crisis or toddler meltdown. I get to spend a lot of time day to day with both children which is a blessing – we enjoy coming up with activities and exploring the world together. I have a strong technological background having studied Computing at university, naturally I am an advocate for combining family life with the latest modern technology to make our lives as a family easier. If you like the sound of all of the above then please subscribe to The Unruffled Mum newsletter to keep in the loop of our goings on around here. Why not shout out to say hello to me on twitter! I love emails from readers, if you have anything to say I’d love to hear from you. Contact me on my Facebook page.